Colorful Kids 15 inch Backpack Only $5 Plus FREE Shipping! 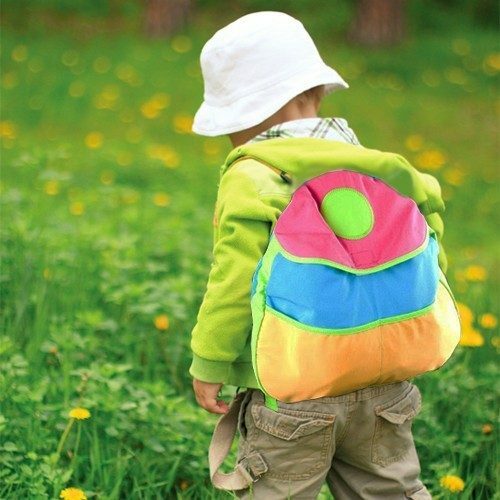 You are here: Home / Great Deals / Colorful Kids 15 inch Backpack Only $5 Plus FREE Shipping! Whether headed to daycare, preschool or grandma’s house, this colorful backpack is a great accessory! These backpacks measure 15 inches long by 15 inches wide, so you’ll have plenty of room to store your child’s belongings. The backpack has a Velcro top opening so it can be easily accessed. There are also 2 front openings for extra storage. The shoulder straps are adjustable to fit children of all sizes. Get the Colorful Kids 15 inch Backpack for Only $5 Plus FREE Shipping!